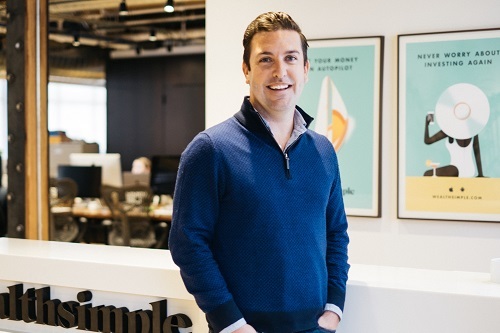 Advisors will have better choice and more time to work with clients if they sign up for Wealthsimple Advice, according to the new MFDA-licensed firm’s president. The service makes the digital platform’s technology available to registered advisors in the same way Wealthsimple for Advisors does for financial planners and the consumer product does for retail investors. Dave Nugent told WP that registered advisors can now utilise its best-in-class technology to free up time to scale their business, gaining access to a suite of model portfolios of both passive and active ETFs and mutual funds. The service, available now, is designed to offer front- and back-office solutions and help streamline operations and compliance. The subadvisors available on the platform include Mackenzie Investments and Forstrong Investment Management, with more managers expected to be added. The move to the MFDA sphere is a significant one for Wealthsimple, which has built up an enviable public presence thanks to its slick advertising and young, media-friendly CEO Michael Katchen. The platform’s build-out is ambitious, with the Wealthsimple Advice service following hot on the heels of the Wealthsimple for Advisors product, which is helmed by its CEO, J-F Courville. Read his exclusive interview with WP here. Personal news: I’m very excited to share that I am joining @Wealthsimple as General Counsel and Head of Regulatory Affairs. Can’t wait to get started. Time to help build a 🇨🇦 fintech champion. For Nugent, targeting MFDA-registered advisors allows those who prefer a more hands-on client relationship to benefit from the efficiency of the portfolio management technology. He said: “We felt it was important to offer choice. Some advisors prefer to concentrate their efforts on building financial plans for their clients and are comfortable connecting their clients to Wealthsimple for investment advice while ensuring the client is served on a fully modern digital platform. Nugent added that Advice addresses the problem advisors have of not being able to spend enough time with clients because of the weight of administration and compliance. He said: “A major challenge that many advisors face is that they can't spend as much time as they'd like on their interactions with their clients because they're spending so much time on operations, administration and compliance. Nugent said that there is no pressure with Advice to sell proprietary solutions and that the fees the firm makes are the same no matter what the advisor chooses. Mackenzie will offer three model portfolios that leverage its boutique investment teams across multiple asset classes and investment styles. The portfolios have varying degrees of equity and fixed-income allocations, ranging from 65% equity to 75% fixed income.